Introduction: Traumatic head injury is a common cause of death in the young population. It is important public health care problem in Pakistan and equally pandemic in developing countries. By knowing prognostic factors, proper management, and avoiding the cause, and also by public awareness we can decrease mortality and morbidity. Material and Methods: A retrospective study conducted in the Neurosurgery department of Lahore general hospital Lahore, from 1st Nov. 2018 to 31st Dec. 2018 and data collected from 30 patients. All patients were of traumatic head injury after that they suffer from ICH/SDH/EDH. All patients who had brain death or suffer from poly-trauma were excluded from research. Prognosis was assessed from GCS, age, CT scan findings. Patients having GCS less than 4 were considered having poor prognosis. Serial imaging were taken to see the progression of the disease. Results: Out of 30 patients, 5 patients are female and 25 patients are males. Mean age of patients is 34 years. Age group 30 – 45 have maximum numbers of patients. RTA is a major cause of mortality in our study, particularly for those patients having low GCS i.e., 4. In this study nearly 66.7% patients had post traumatic fits. 46.7% patients had skull fractures. 16.7% patients had EDH 33.3% patients had SDH and 50% patients had contusion/DAI/TSAH. Conclusion: Prognosis in the severe head injury is determined by the age, mode of the injury, CT findings, resuscitation, and GCS. 1. Humphreys I, Wood R. Phillips C, et a!. The costs of traumatic brain injury: a literature review. Clinico«on Outcom~ &s. 2013; 5: 281-287. 2. Thurman D, Guerrero J. Trends in hospitalization associated with traumatic brain injury. ]AMA. 1999; 282: 954-957. 3. Lu J, Marmarou A, Choi S, et al. Mortality from traumatic brain injury. Acta Neurochir SuppL. 2005; 95 (suppl): 281-285. 4. Bullock R. Chestnut RM, Clifton G, c:t a!. Guiddines for the: management of severe head injury. ] Neurotrauma. 1996; 13: 641-734. 5. Bullock R. Chestnut RM, Clifton G, et al. Guiddines for the management of severe head injury. ] Neurotrauma. 2000; 17: 449-627. 6. Alderson P, Roberts I. Corticosteroids for acute traumatic brain injury. Cochrane Database Syst Rev. 2000;( 2): CD000196. 7. Bullock MR. Povlishock JT. Guiddines for the management of severe traumatic brain injury. ] Neurotrauma. 2007; 24 (suppl. 1): S1-S106. 8. Bullock MR. Chestnut R, Ghajar J, et al. Surgical management of TBI author group. Neurosurgery. 2006; 58 (suppl. 3): S1-S62. 9. Chestnut R, Ghajar J, Marion DW. eta!. Early indicators of prognosis in severe traumatic brain injury. Brain Trauma Foundation, 2000: 1-103. 10. Chesnut RM, Temkin N, Carney N, et al. A trial of intracranial pressure monitoring in traumatic brain injury. N Eng! ] Med.2012; 367: 2471-2481. 11. Faden AI, Demediuk P, Panter SS, et al. The role of excitatory amino acids and NMDA receptors in traumatic brain injury. Science, 1989; 244: 798-800. 12. Gualtieri CT. Pharmacotherapy and the: neurobebaviouralsc: qudac: of traumatic brain injury. Brain Inj. 1988; 2: 101-129. 13. Tolias CM, Bullock MR. Critical appraisal of neuroprotectiontrials in head injury: what have we learned? Neuro Rx. 2004; 1: 71-79. 14. Adam 0, Mac Donald CL, Rivet D, et al. Clinical and imaging assessment of acute combat mild traumatic brain injury in Afghanistan. Neurology, 2015; 85: 219-227. 15. Copper DB, Bunner AE, Kennedy JE, et al. Treatment of persistent post-concussive symptoms after mild traumatic brain injury: a systematic review of cognitive rehabilitation and behavioral health interventions in military service members and veterans. Brain Imaging Behav. 2015; 9: 403-420. 16. Kennedy CH, Porter Evans J, Chee S, eta!. Return to combat duty after concussive blast injury. Arch Clin NeuropsychoL. 2012; 27: 817-827. 17. Teasdale G, Jennett B. Assessment of coma and impaired consciousness. Lancet. 1974; 2: 81-84. 29. 18. Jennett B, Teasdale G. Assessment of impaired consciousness. In: Plum F, ed. Management of Head Injuries. Philadelphia: FA Davis; 1981: 77-93. 19. Miller JD. Minor, moderate and severe head injury. Neurosurg Rev. 1986; 9: 135-139. 20. Williams DH, Levin HS, Eisenberg HM. Mild head injury classification. Neurosurgery, 1990; 27: 422-428. 21. Rodriguez ED, Stanwix MG, Nam AJ, et al. Twenty-six year experience treating frontal sinus fractures: a novel algorithm based on anatomical fracture pattern and failure of conventional techniques. Plast Reconstr Surg.2008; 122 (6): 1850-1866. 22. Stanwix MG, Narn AJ, Manson PN, c:t al. Critical computed tomographic diagnostic criteria for frontal sinus fractures. ] Oral Maxillofac Surg. 2010; 68 (11): 2714-2722. 23. Chelly H, Chaari A, Daoud E, et al. Diffuse axonal injury in patients with head injuries: an epidemiologic and prognosis study of 124 cases.] Trauma. 2011; 71 (4): 838-846. 24. Gupta S, Tandon S, Mohanty S, et al. Bilateral traumatic extradural haernatomas: report of 12 cases with a review of the literature. Clin Neurol Neurosurg. 1992; 94: 127-131. 25. Maggi G, Aliberti F, Petrone G, et al. Extradural hematomas in children.] Neurosurg Sci. 1998; 42: 95-99. 26. Wu J, Hsu C, Liao S, ct al. 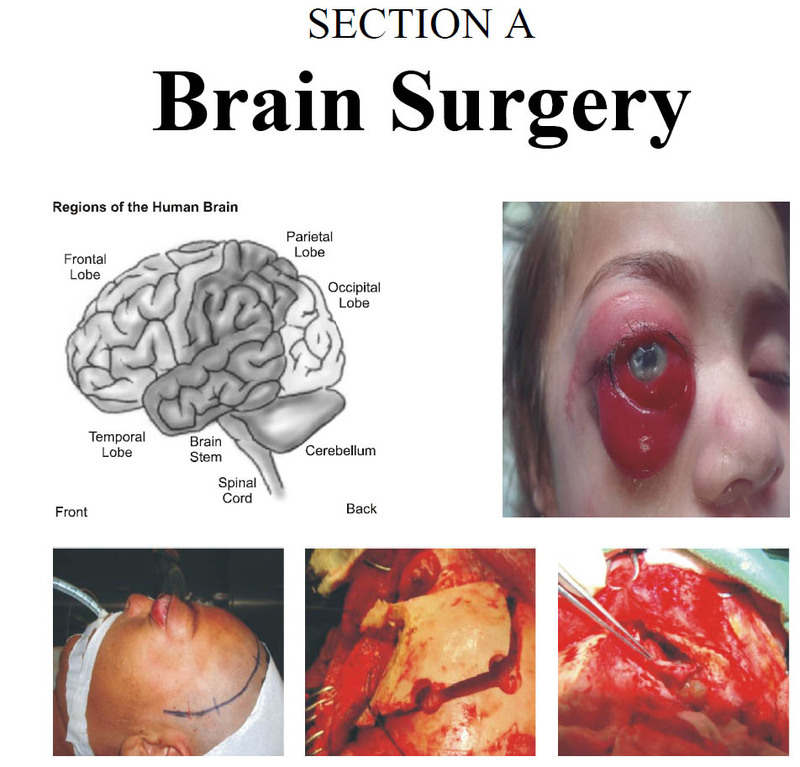 Surgical outcome of traumatic intracranial hematoma at a regional hospital in Taiwan. ] Trauma. 1999; 47: 39-43. 27. Howard MA 3rd, Gross AS, Dacey RJ Jr, et al. Acute: subdural hematomas: an age-dependent clinical entity. ] Neurosurg. 1989; 71: 858-863. 28. Seelig JM, Becker DP, Miller JD, et al. Traumatic acute: subdural hematoma: major mortality reduction in comatose: patients treated within four hours. ]AMA. 1981; 304: 1511-1518. 29. Dacey RG, Alves WM, Rimd RW, et al. Neurosurgical complications after apparently minor head injury---assessment of risk in a series of 610 patients.] Neurosurg. 1986; 65: 203-210. 30. Stone JL, Lowe RJ, Jonassen 0, et al. Acute subdural hematoma: direct admission to a trauma center yidds improved results. ]Trauma. 1986; 26: 445-450. 31. Hukkelhovert CW, Steyerberg EW; Habbema JD, et al. Predicting outcome after traumatic brain injury: development and validation of a prognostic score based on admission characteristics. ] Neurotrauma. 2005; 22 (10):1025-1039.